2017 saw me working a lot for EastEnders again. This year was slightly different as the majority of my work was as a camera supervisor. Whether in the studio or location, supervising brings greater responsibilities. 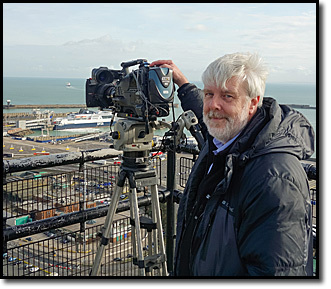 We have to ensure the highest quality of camera work and need to organise crew and kit for maximum efficiency. We also work closely with the director to ensure his vision is realised on screen. 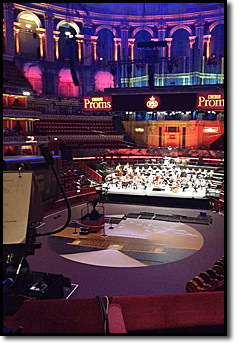 The Proms at the Royal Albert Hall has been a regular feature of my summer work for more than twenty years now. Having had to miss the 2016 season due to my cancer treatment was a big disappointment, so I was delighted to be invited back again to work on the 2017 season. It's difficult to pick a favourite prom; The energy of the National Youth orchestra is always infectious, the spectacle of John Wilson's production of Oklahoma left us humming show tunes for days, but probably my personal favourite was Simon Rattle conducting Schoenberg's Gurrelieder. A wonderful location to work at. 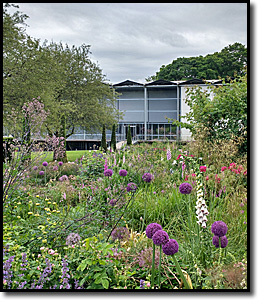 My annual visit to the Garsington Opera at Wormsley, this year was to record Handel's Semele. Although not one of the most well known operas, Garsington's imaginative staging It can be watched in full from You Tube here. Although not recorded for television transmission, the recording of the operas for Garsington to show around the country and on the internet in recent years is carried out to full broadcast standards. The small pavilion the opera is performed in has little space for the sort of cameras that are used in the big opera houses, but it's small size also means that there's less need for the long range zoom lens usually needed. Similarly there isn't space for large OB vehicles, so our facilities company, Eyetidy, use a portable 'fly away' system to build a dedicated small facility behind the pavilion that is used as a control room and office. We manage to squeeze in five full facility cameras, with a few added miniature cameras in the orchestra pit too. The production is directed and cut by Sonia Lovett who scripts each shot with great care. All of the crew are very experienced ex-BBC staff. Live cinema discussion for the premiere of Grace Jones movie at BFI, One Box TV.